Maltese influence on a classic design. 4.5 inch (114 mm) king. Ideal for a 21 inch (55 cm) board. 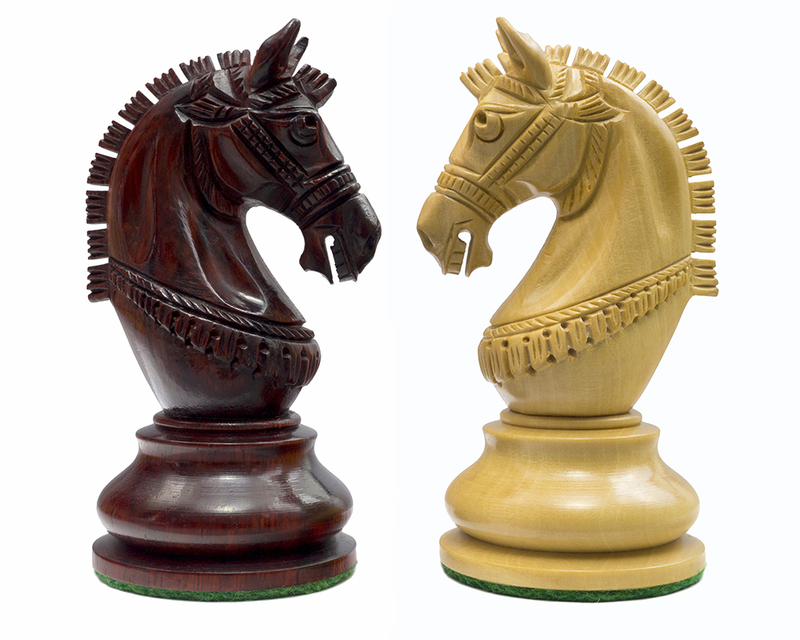 The extraordinary design of these La Valletta Chessmen, hand turned from solid redwood, was inspired by the historic invasions of Malta’s capital city. 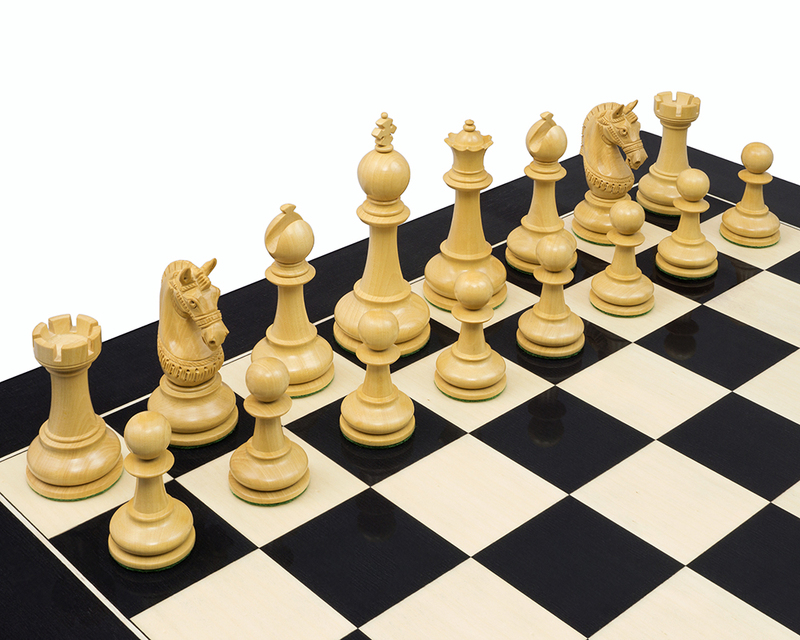 Both the king and queen have wide bases that mean the whole set is comfortable only on chess boards of at least 21 inches (55 cm). 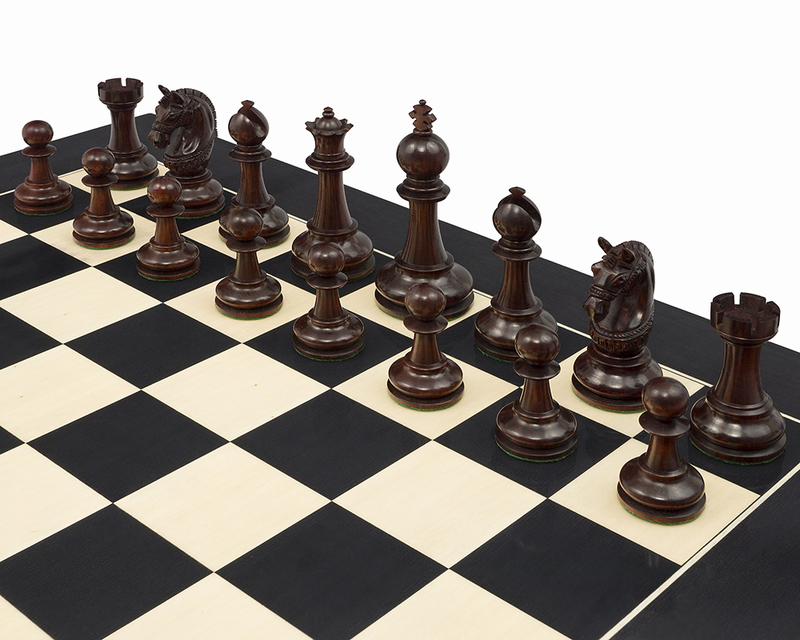 The deep red of these pieces complements playing surfaces made from similarly dark woods. 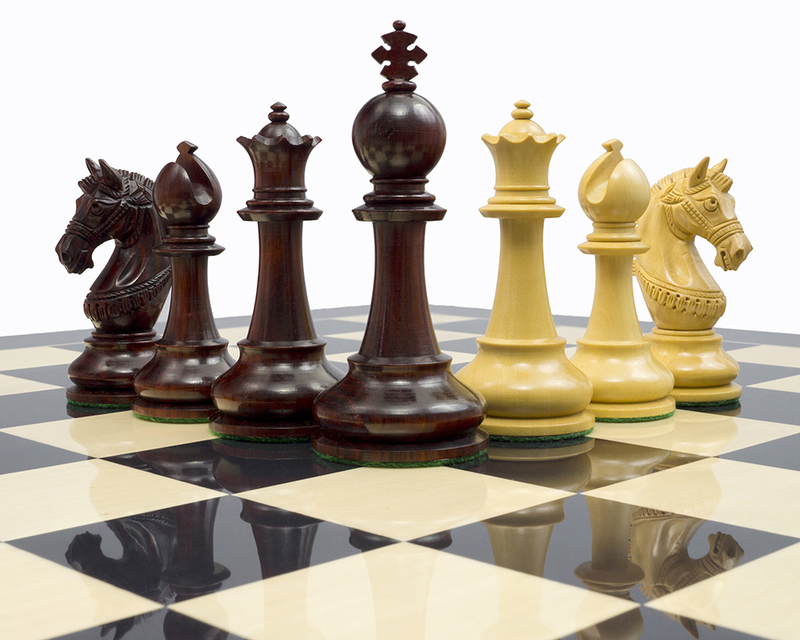 The black and white knights are undoubtedly the most stunning on the board. The detailed bridle gives each horse a reticent look; well trained and ready for battle. 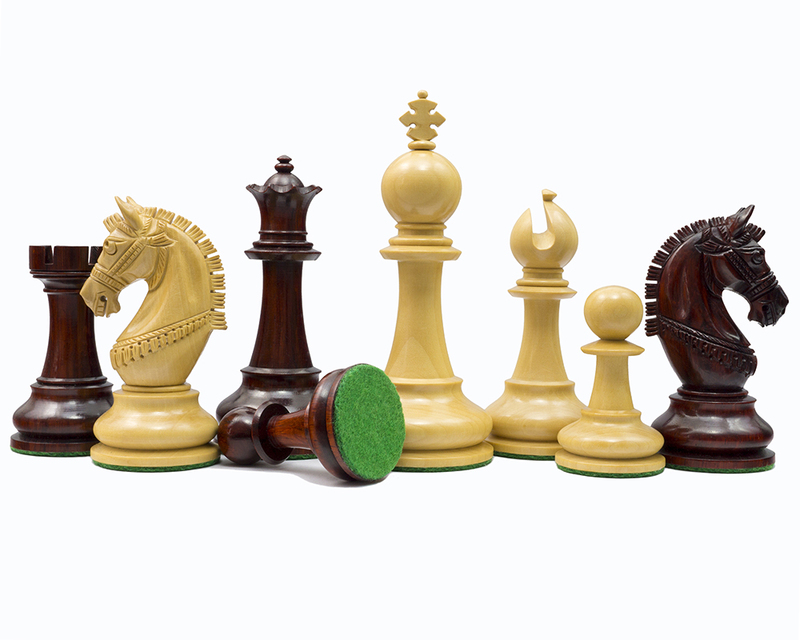 These chessmen take more than two months to make, and it is of no great surprise that the knight is the ornament that takes the longest to carve. 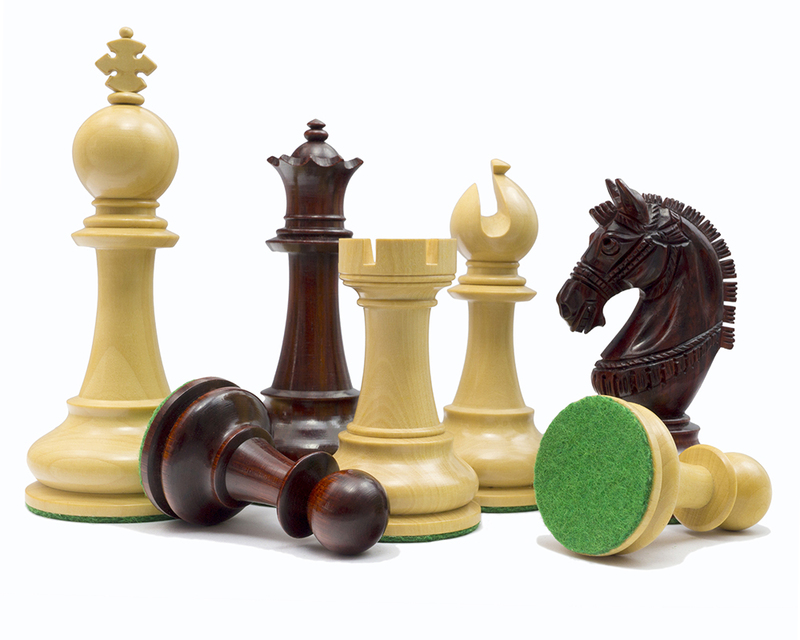 A hand turned rook stands next to the knight, supporting a traditional castle top underneath a slim midriff; comfortable in hand and a true delight to play with. 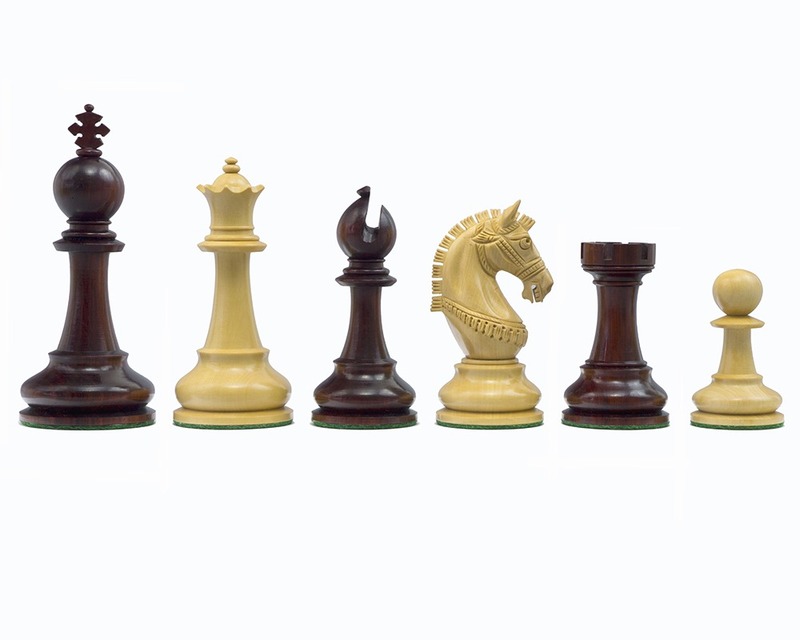 Finally the classic pawns; sixteen chess pieces made with the same amount of care as the others, such attention to detail reflecting what many chess players insist on - that the pawn is as important as any other combatant.